Working on an online project for your charity organization? Here are some of the Crowdfunding WordPress themes that can help you. These are some of the best Charity themes to create a website for a non-profit organization. The beautiful and professional looking charity themes are responsive and mobile friendly. They are flexible and easy to use. Using these themes, you can create a website for the culturally based non-profit organization. These Fundraising WordPress themes come with easy backend options. They enable you to build any kind of website without touching a code. You’ll soon realize that creating a website for your fundraising Campaigns was never easier than these Charity themes for WordPress. A responsive website is a user-friendly website. All of these Fundraising WordPress themes are responsive and mobile friendly. To see how the crowdfunding website looks, visit the theme demo on your mobile phone. The use of internet through mobile phones has substantially increased. Therefore, we need a responsive and mobile friendly Charity template. The Non-profit WordPress themes listed here are elegantly responsive. They allow you to create beautiful NGO based website with the great user experience. The websites created with these charity themes will look great on any device, The navigation is designed to highlight the important links of your website. Even on mobile devices, these WP themes for NfP organizations has smooth navigation. The WordPress themes for Charity and Non-profit organizations come with predesigned pages and ready to use functions. But, we understand that websites for different institutes have different purposes. And based on them, the need varies. So, the WordPress CrowdFunding themes are highly customizable. The pages of the WordPress themes for not-for-profit associations are widgetized. You can easily change the page structure. Decide the screen elements and where you want to place them on your webpage. Besides, you can easily change the color, fonts and upload your own logo. You can set the header and the footer of your website to accommodate the important links on your website. These WordPress Charity themes are flexible in terms of scope too. With the available features, you can create a simple website for a local NGO or a complex website with multiple causes and an online donation system. These WordPress Welfare templates are focused on the resource for volunteering and raising donations. So you can create different causes and accept donations for them. Moreover, you can run different charity campaigns on your NFP websites. These charity themes can be used to support many causes and projects at once. All these themes come with a fast and transparent method to accept donations through your charity website. And you can choose to accept donations for different causes through your non-profit website. When you create a website for churches and other nonprofit organizations, it must be interesting. The main aim of such websites is to get people involved and curious about your cause or ideas. However, this won’t happen if your nonprofit website is too slow. So the Social Fund WordPress Themes are optimized for speed and performance. The ultimate idea behind them is to easily deliver your thoughts easily. A fast and efficient website is the key to making your website users spend more time reading and exploring your non-profit website. So when you embark on building your own not-for-profit website, you won’t have to worry about the speed and performance of your website. 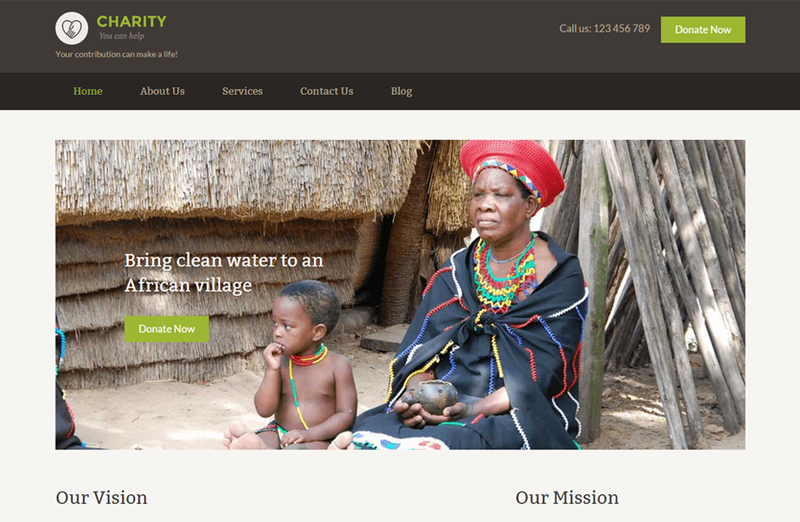 If you are looking for a DIY website template for your NGO website, you are at the right place. The Charitable Group WordPress Themes come with a user-friendly backend panel. You’ll become familiar with all the backend options within a day or two. The options are logically arranged to help you find the relevant option easily. The customization options are systematically presented so that you won’t be confused. Even the donation system is easy to use. You can access the reports on the donation received and manage it. All the steps on how to customize and manage the features of these Crowdfunding website templates are mentioned clearly in their respective theme guides. Along with the easy backend options and the theme support in form of documentation and support, you can easily create manage your website on your own. No need to hire designers and programmers to get your website created. And no need to get in touch with the programmer, every time you want a minor change to your website. Your WordPress Crowdfunding website must let you display the upcoming events. These events can be religious, non-profit events, public gathering, marches for causes, meetings, etc. The events on your religious WordPress theme can help gathering people for your cause. Tell people about the non-profit or religious events by advertising them on your website. You can add events to your website and they will be shown in a separate section. If you want to display the events using a calendar on your website then you can use the events calendar plugin. The plugin integrates seamlessly with this not-for-profit WordPress theme. The main aim of non-profit websites can be much more than just raising funds. They can have various motives for spreading a specific message, bringing awareness, etc. Therefore, these WordPress themes for Charity and Non-Profit websites are designed with a clean layout that focuses on content. Give them a tour of your institution with beautiful galleries and videos on different pages. You can also express yourself well through the causes and projects can help you find the charity volunteers. These Church website templates not only helps you convey your cause to the people at large but also lets you accept the donation. It comes with a ready to use “give” button through which your users can donate online. The inbuilt donation system of the Church WordPress theme is a fast and transparent method to accept donations online. No extra plugin or module required. The donation system comes included. You can raise donations per project and view all the donation history. The online donation system is easy to use. You can link your PayPal account to your website and start accepting donations easily. Setting up a donation page was never easier than this. Unique content blocks Charity comes with over a dozen different design elements, i.e. blocks. Each block contains sample data which allows you to customize it more easily. Mobile friendly Your Charity theme is designed to look great on whichever device your visitors end up using. Desktop, phone, tablet… anything short of a potato. Whether it is a website for small foundation working with families or a large NFO institute working at different levels, it needs to be SEO friendly. The Charity and Non-profit WordPress themes listed here are SEO optimized. They are coded with the best SEO practices. For more SEO functions, you can use the SEO plugins like Yoast SEO, All-in-One SEO pack with this SEO friendly Charity WordPress themes. With blogs on your charity website, you can keep your users updated and website interactive. You can express your ideas, thoughts and let people review it through the blog section. Besides, the blogs on your charity WordPress themes also support WordPress threaded comments. This allows your visitors to leave their comments and reviews on your site or your cause. Therefore, your WordPress blogs can become more interesting with public discussion and user interactions. Moreover, blogs are even helpful for SEO. Besides, you can post good thoughts, interviews of peacemakers and speakers, details about your causes, messages for public awareness, inspiring stories, etc. as a part of your blog. When you buy one of these Charity WordPress themes, you get access to the theme documentation and support for one year, free! The theme guide consists of detailed documented steps on how you can set up your charity website with these WordPress Fundraising Campaign Themes. It contains all the steps starting from the theme installation to the theme customization and feature management. The theme guide also addresses some frequently asked questions about the Charity themes. However, if the theme documentation cannot solve your problem, don’t worry. You can get in touch with our support team. The support experts will help you with your problem as best as they can. You can send in your queries for the support executives using this Contact form. Create amazing nonprofit websites with this responsive WordPress philanthropic website template, in just minutes. It is a Multipurpose WordPress Charity theme that you can use as your Crowdfunding platform, or to create a website for your non-benefit associations. This WordPress theme is ideal for any kind of Not for profit websites. You can create a website that explains the cause and ideas of your nonprofit organization. It is designed to let you accept donations per project. This charity theme for non-profit organizations can also be used to create a simple church, mosque or temple websites. They are easy to use and flexible. Using these Church themes you can create and manage your own website, without hiring an expert. Most of these Charity theme support WooCommerce. It is a free and excellent WordPress eCommerce plugin to make your task easier. You would like to have eCommerce features on your non-profit website for a variety of reasons. WooCommerce lets you create an amazing online store in just minutes. But besides eCommerce stores, this plugin can be used for much more. You can sell both digital and downloadable goods with WooCommerce. It comes with handy options to manage all the transactions, tax, inventory, and other sales related matters. Each Charity purchase (standard / plus) also comes with 1 year of guaranteed theme updates. Charity documentation features everything from beginner videos to developer documentation. How long can I use the Charity WordPress theme? You can use this WordPress theme for Non-profit organizations can be used for as long as you want. Even though the support and theme updates are limited for a year, you can still use the theme without support and updates. Can I display advertising banners on my WordPress charity theme? Yes, your non-profit foundation websites can display advertising banners on them. The homepage of the crowdfunding WordPress theme is totally widgetized. The screen elements can be easily moved. Besides, there are specialized widgets for advertisements. Therefore, you can subscribe to Google AdSense or any such advertising service and start displaying advertisements on your website. How do I set up my website to receive donations online? The process to setup your WordPress Charity themes is simple. However, it can be a little different for each charity theme. Whatever the process is, it will be mentioned clearly in the theme guide. 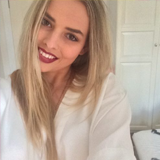 If you have any questions regarding the process, you can get in touch with the support team. Can I customize my Charity Association WordPress theme? Yes, you can customize your Charity website made with the nonprofit organizations’ theme easily. The backend options are intuitive and you can change how your website looks without writing a line of code. Do I need to pay commision on the funds I receive through my Charity website? No, you keep all your donations for yourself. The Charity WP theme comes with the inbuilt ability to accept the donations and transfer it to your account. What version of WordPress can I use these Non-profit themes on? We always update our themes to work with the latest version of WordPress. 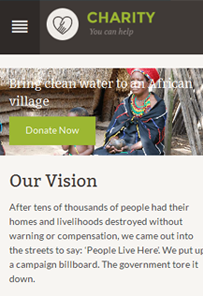 Therefore, you can use this WordPress Charity theme with the current and the latest WordPress. Do I need to buy or download an extra plugin to use the theme features? These Social Foundation WordPress Themes come with all the important features included. You won’t need to struggle to find some PayPal based WordPress donation plugin and gallery plugin for your NGO based website.